Now you can perform a great circuit with obstacles and stunts while driving impressive high-end cars. You can drive a Lotus, a Lamborghini or a Dodge among others and face multiple challenges in this great map. You can try to dunk your car in one of the basketball baskets, you can get on the pool table or on the football field and carry out mini-games. You can also do loopings and wallrides, or face a car parkour in the style of GTA V. You can choose your favorite car, tune it and start enjoying the many activities you can do in this game. 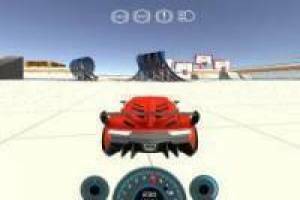 Face Impossible Stunt Car and make the impossible possible. 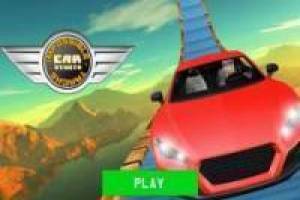 Enjoy the game Impossible Stunt Car, it's free, it's one of our Car games we've selected.